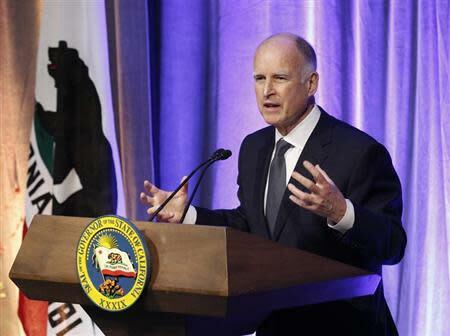 SACRAMENTO (Reuters) - California Governor Jerry Brown said on Friday he would sign a bill authorizing the state to provide driver's licenses to illegal immigrants, a last-minute reversal of his position. "This bill will enable millions of people to get to work safely and legally," Brown, a Democrat, said in an email sent to reporters shortly after midnight. "Hopefully it will send a message to Washington that immigration reform is long past due." For example, he said, Utah licenses for people who cannot show they are in the country legally bear the words "temporary visitor's driver license" on the front. Alejo said he would prefer California's licenses to be more discreet, with small wording on the back indicating that the license was not to be used for identification purposes. After Brown's objections were satisfied, both houses of the state legislature quickly passed the bill, with a number of Republicans joining the Democratic majority to vote for it. "We need those living here and sharing our roads to be educated and insured," said Republican state Senator Anthony Cannella. "There are both social and financial reasons to provide licenses to immigrants who are part of our communities." Angelica Salas, executive director of the Coalition for Humane Immigrant Rights of Los Angeles, called it "fundamental and way overdue."